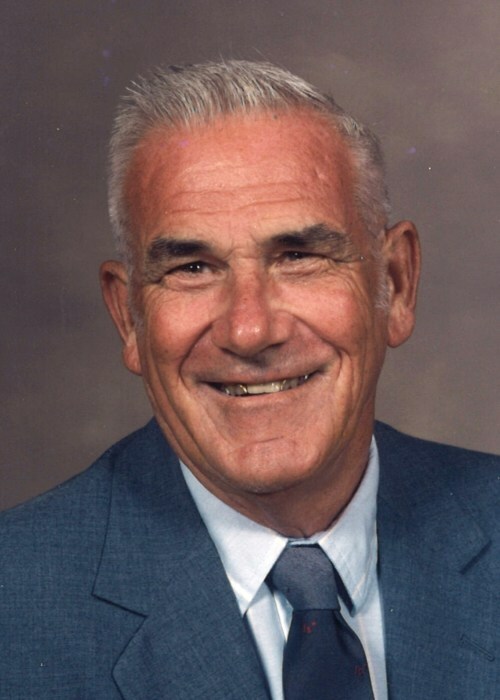 Sherwood Velton “Buddy” Ellis, 85, of Fountain Hill, died Saturday, March 30, 2019 at his home. Mr. Ellis was born May 6, 1933 in Drew County and was a resident of Fountain Hill for many years. He graduated from Drew Central High School in 1952, and was a veteran of the United States Army, having served from 1953 until 1955, during the Korean Conflict. Mr. Ellis worked as a crane operator for several years before going to the Georgia-Pacific Tissue Mill where he retired in 1995. “Buddy” loved to see things grow and he and his wife owned and operated Ellis’ Greenhouse for 35 years. Mr. Ellis was a member of the Eden Baptist Church, where he served as a Deacon. He was a Mason, a member of the Prairie Lodge # 465 in Hamburg and was a Scottish Rite 32nd Degree Mason. He loved to tease his grandchildren and was a loving husband, daddy, and grandpaw. He loved all animals and trained his dogs to do tricks for friends. He is preceded in death by his parents, Charles Wesley “Bault” & Verda Hogue Ellis and a brother, Charles Ellis. He is survived by his wife of 65 years, Allene Shelton Ellis; his sons, Dennis Sherwood Ellis and wife, Beverly, and Ernie Stephen Ellis and wife, Deedee, a sister, Clellis Stanley all of Fountain Hill; nine grandchildren, Amy Martin and husband, Brandon, Wes Ellis and wife, Molly, Chris Watt and wife, Mandy, Michael Watt and wife, Laura, Georgia Bechtel and husband, Trey, Robyn Hawkins, Terry Harrison and wife, Lauren, Katelyn Harrison and Jackson Harrison; 15 great-grandchildren, Austin, Aubrey, Kason, Jase, Maylee Claire, A.J., Cody, Brooklynn, Dakota, Chloe, Felicity, Waylon, Skylar, Peyton and Roland James Ellis, who is due in April. Funeral services are 10 a.m., Tuesday, April 2, 2019, at the Eden Baptist Church with Bro. Ricky Watt and Bro. J.W. Dobbins officiating. Burial will be with full Masonic Honors in the Zion Cemetery. Pallbearers are Chris Watt, Michael Watt, Brandon Martin, Wes Ellis, Terry Harrison, and Jackson Harrison. Honorary pallbearers are his grandchildren and great-grandchildren. Memorials may be made to the Eden Baptist Church Building Fund, 3748 HWY 133 North, Hamburg, AR 71646. Visitation will be 6-8 p.m., Monday at the funeral home.